DIY projects are all the rage. With the rise in home improvement television shows, blogs and other quick resources, homeowners are realizing there are a lot of things they can do on their own to save a little money. What you need to keep in mind is while it might be easy to reupholster your dining room chairs or resurface the bathroom counter, there are some projects that should always be handled by the professionals. This includes electrical repairs. The smallest amount of misinformation and the tiniest lack of knowledge can have largely devastating effects. Electrocution isn’t a small issue in the United States. Statistics point to over 4000 non-fatal injuries and 400 electrocutions each year as a result of unsafe electrical practices. Additionally, over 140,000 fires per year are reported to have started from electrical problems. These things are happening because the untrained homeowner doesn’t understand how electricity works. They may not know the difference between a live wire and a dead one. They might not understand whether the breakers need to be flipped or not. They can’t assess a situation and recognize the serious hazards facing them. Trained, experienced professionals can, and that is why you should always contact a professional electrician when you need to tackle any type of electrical repairs. Time – Tackling DIY projects on your own can cost you a lot of time. When something goes wrong, you’re out even more time. Hiring a professional eliminates this issue. Money – After trying an electrical repair on your own and having it go wrong, you have paid for the parts, the repairs to any additional damage you created, possible medical costs and still have to pay a professional to do the job correctly. Hiring a professional in the first place will save you money. Safety – Because of their experience and training, licensed electricians will ensure the job gets done safely. 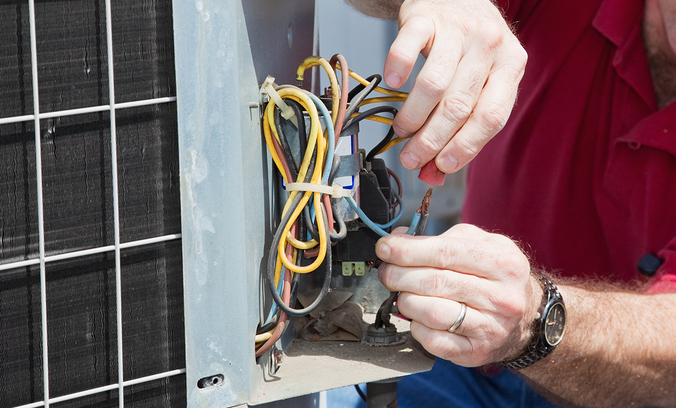 As you can see, it’s important you contact the professionals when it comes to electrical repairs. The next time you find yourself in need of an electrician, don’t hesitate to call.